T-38 Palmer Select Hybrid #48142. Bred by E. F. Palmer formerly of Vineland Station, (Horticultureal Research Institute of Ontario, Ontario, Canada. 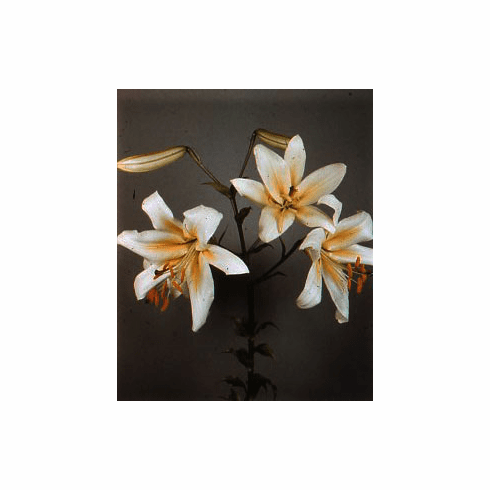 There are no parentage records available and no records this lily went into commercial production. Circ. 1950. Photo courtesy of the Bill & Mary Hoffman Collection.